Summary: Some things you don't dare let go . . .
Review: Oh, man. I absolutely devour every single Shannon Richard novel and am always left wanting so much more. 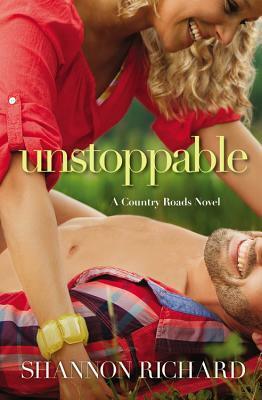 Unlike the first two novels of the Country Roads series, Unstoppable explores the slow growth and realistic uncertainty of starting a relationship that isn't hot and heavy right off the bat. 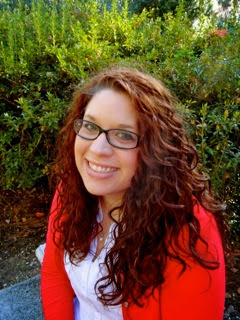 After Melanie was shot by the two men who victimized their town, Bennett did not leave her side as she recovered and returned back to teaching. No matter how big of a crush Melanie has developed for Bennett, though, she knows he's just a friend she can count on for anything, and that includes helping her math class build bookcases for an entire semester. Spending so much time together, Bennett has far more than friendly feelings for Melanie, but his past still haunts him, as well as the tragedy that has scared him from ever letting anyone in again. Like I said, this book is not like the previous two books in this small town romance series, but definitely in a good way. Bennett and Melanie's relationship is slow-going and they hang out a lot as friends before things come even close to progressing towards being more than friends. That being said, though, I love how we got to see Melanie and Bennett be friends first and finally have a relationship that develops instead of having an attraction that just take of running like so many romance novels do. Not to mention that I absolutely loved how they watched Game of Thrones together. As a GoT fanatic, I understood all of the references and was way too excited whenever they would talk about it together. Nothing like a little Game of Thrones to light the flame of a relationship! Not only was their relationship so much more realistic, but Melanie's character was definitely a character I could relate to. Melanie was a high school math teacher and she didn't wear super revealing clothes or have a totally hot body that every single guy in the room stares at. No, she's just average, but Bennett saw everything in her that made her special and completely irresistible in his eyes. And when she got sick and he took care of her? A completely normal occurrence in a person's life, but one that just made me swoon. Bennett is super sweet and I loved how much he took care of Melanie and put her first in their relationship. And the cooking! A man who can cook gets an A plus in my book. I must say, though, this novel was definitely a lot more serious and emotional as well. Bennett went through some traumatic and emotional experiences when he was in the Air Force and when something happens that brings all of those feelings rushing back, his relationship with Melanie is put to the test. I was on the verge of tears at one point, and that's definitely saying something. I became very connected to Bennett and Melanie as they faced the uncertainty and shyness newly forming couples go through, which only made me love them that much more when they had to face their own demons as they attempted to let each other in by the end of the book. As much as I loved this book, though, I am beyond ecstatic to finally have Shep's story in the next book! Mmmm, more irresistible men in an addicting story where the small town is impossible not to love? Yes, please!